In order to produce ozone, an oxygen source is needed. One can either use an oxygen concentrator or an oxygen tank. Both have pros and cons. A concentrator offers independence, an oxygen tank offers a higher purity. 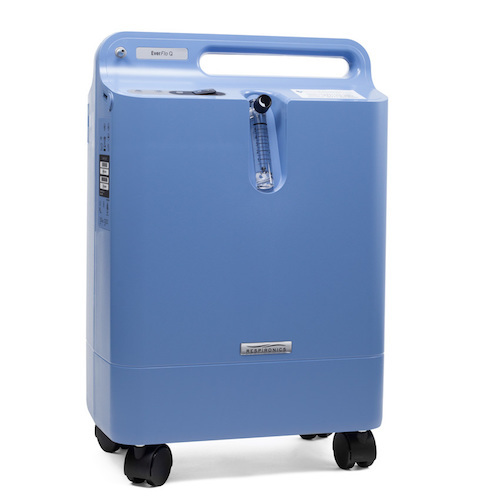 There are medical oxygen tanks (CGA 870) and industrial oxygen tanks (CGA 540). Both require low flow (pediatric) regulators. Industrial tanks can be filled at welding shops. Medical tanks require a doctor’s prescription. Each ozone generator used for personal treatment has to be fed by an oxygen source. There are two basic options: concentrator or tank. Low upfront cost, higher running costs for refills. Concentrators take in the ambient air which is made out of around 78% nitrogen and 21% oxygen, put it through filters and a compressor and out comes a gas mix of around 95% (+/-) oxygen, some argon, nitrogen and CO2. Most concentrators produce O2 flows between 0 and 5 liters per minute which are too high for ozone therapy. Ozone applications require extremely low flows between 1/32 to max 1/2 liter per minute. Concentrators with low flows are more difficult to find and often cost more than concentrators with higher flows. An external low flow regulator can be attached to a high flow oxygen machine, and so “remodeled” into a low flow concentrator. Concentrators fit for ozone therapy should produce oxygen of at least 90% purity. Most concentrators use zeolite filters which filter out nitrogen. The remaining 5% to 10% are mostly argon, and some carbon dioxide (CO2). The nitrogen content is negligible to non-existent. Protocols like insufflations, ozonating water, ozone saunas, bagging and in general everything that is not invasive can be performed with oxygen concentrators. Concentrators do not require refills like tanks. With access to electricity, one has a near unlimited and continuous supply of oxygen. Concentrators have filters which should be exchanged regularly. In order to buy a new oxygen concentrator, most states require a prescription. Refurbished concentrators can be acquired without a prescription. 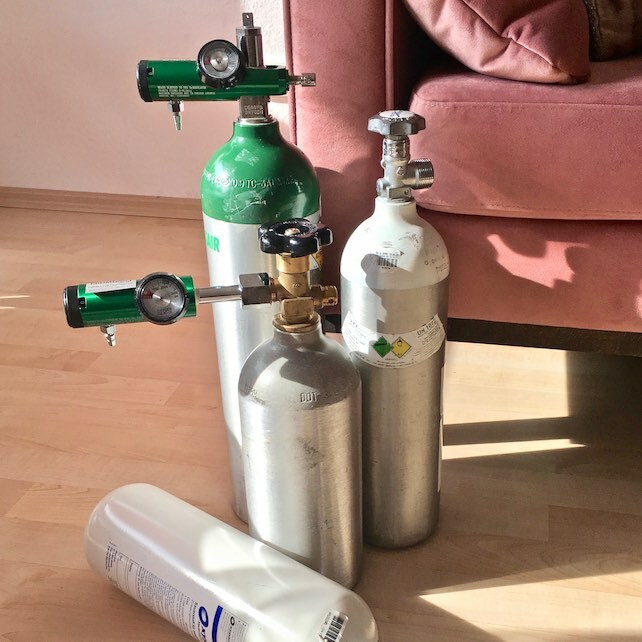 Oxygen tanks can be either medical (CGA 870) or industrial (CGA 540). Medical tanks have a different valve from industrial tanks, hence require different regulators. Medical tanks have a chain of custody, no such thing is required for industrial tanks. A lack of chain of custody means, it cannot be excluded that the tank was handled in an inappropriate manner which allowed impurities to enter. Having a filled tank at home comes with some risks: the gas inside the cylinder is under extreme pressure. A mishandling could turn it to a missile and hurt humans and damage property. Consequently, it is of utmost importance to secure an O2 tank by keeping it in a cart, or bolt it to a wall, keep it out of the reach of children and away from heat sources. A tank needs to be regularly inspected to make sure the valve is still intact. It does not consume electricity, does not create noise, but requires regular refills. To refill a medical tank you will need a prescription from a doctor. To refill an industrial tank, you just need a welding shop or a gas supplier.